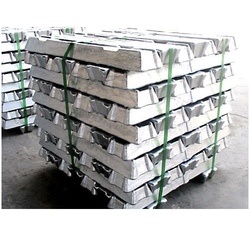 Prominent & Leading Importer from Mumbai, we offer zinc alloy ingots 5/ zamak 5, zinc alloy ingots 90:10, nickel zinc alloys and zinc alloy 95:05. We are the leading importers and stockiest of premium quality Zinc Alloy Ingots-Mazak/Zamak 5. Zinc alloys ingots are primarily used for fuse element applications and corrosion resistant electrical contact applications. We offer Zamak 5 as per the international quality standards. 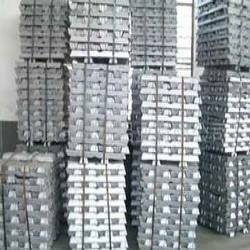 We are the reputed exporters and suppliers of premium quality Zinc Alloy Ingots. Zinc alloys ingots are primarily used for fuse element applications and corrosion resistant electrical contact applications. 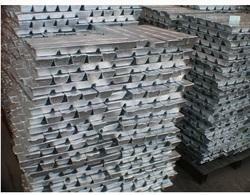 We offer Zinc Alloy Ingots as per the national and international quality standards. We are stockiest of Nickel Zinc Alloy used in Hot Dip Galvanising Process. This product is used for reducing Zinc consumption in Hot Dip Galvanising Process. The alloy also helps in reducing the extra Zinc thickness coating and also huge %age of reduction in Zinc consumption.